Cengage Learning filed for Chapter 11 protection in Bankruptcy Court for the Eastern District of New York on July 2, 2013. The company comprises three major units. 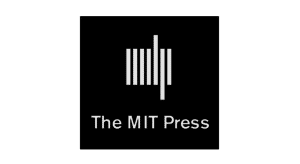 The Academic & Professional Group (APG) is a publisher of print and digital information services for the academic, professional, and library markets, including textbooks, educational software, and training programs. Gale provides a wide variety of reference and e-research and educational products to libraries, schools, and businesses. This includes more than 600 databases and their licensing of content to others (such as Dow Jones) for integration in web-based information services. Cengage’s International division, not a part of this bankruptcy action, is responsible for the adaption of their domestic products for distribution to more than 110 countries around the world. In announcing this, the company stressed that “our customers can be confident that they will continue to receive high quality educational content, products and industry leading services and support they are accustomed to without interruption. Our vendors can expect to be paid in full for all goods and services provided from the date Cengage Learning filed for Chapter 11 forward. Our employees will be paid in full and will continue receiving their benefits in the same way.” The company employs an estimated 5,500 employees in 20 countries across the globe. Until 2007, Thomson was also a major worldwide provider of higher education textbooks, academic information solutions, and reference materials. Thomson (now Thomson Reuters) amassed its portfolio largely through acquisition. In September 1998, Gale Research Co. and The Thompson Group merged, with Gale maintaining its name and significant operating independence. In October 2006, the company announced its intention to break up and sell the renamed Thomson Learning market group. In May 2007, Thomson Learning was acquired by Apax Partners and soon renamed Cengage Learning. “The name Cengage Learning reflects our commitment to promoting engagement and improving results for all of our customers,” noted then-CEO Ronald Dunn. Apax, a private “independent global partnership focused solely on long-term investment in growth companies,” noted that their financial success is “rooted in a culture that has always been outward looking, pioneering and committed to growing businesses.” In the case of Thomson Learning, Apax, together with funds advised by OMERS Capital Partners, may have been a bit over-eager, paying $2.75 billion over the estimated value of the company of $5 billion. The floundering company brought in a new CEO, Michael Hansen, in September 2012, calling him “a seasoned executive with significant experience in guiding digital transitions in publishing businesses, and we feel he is highly qualified to lead the company through the next stages of its growth strategy.” However, red ink was a major priority. 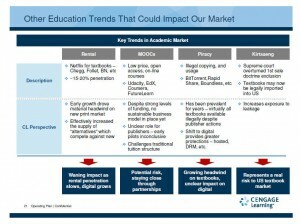 Cengage now estimated to be worth $4 billion was carrying a debt of $5.8 billion at the time of the Chapter 11 filing. In May of this year, the company announced that it was considering both restructuring and Chapter 11 to address its financial situation. “We will seek to negotiate the terms of a comprehensive restructuring transaction with our key creditor constituents and quickly implement the restructuring plan,” CEO Hansen explained in May. Chapter 11 bankruptcy involves restructuring as the goal—very different than a Chapter 7 bankruptcy which involves liquidation of assets. In this case, Cengage has proposed to eliminate its equity holders (also called shareholders, those with a financial stake in the company) and have their debtors brought on as the new equity holders (owning a share of the company—but no more than a total 35% stake). The private company has been very transparent in their disclosures in this process, listing the names of creditors and detailed information on its current market position and operating plan. 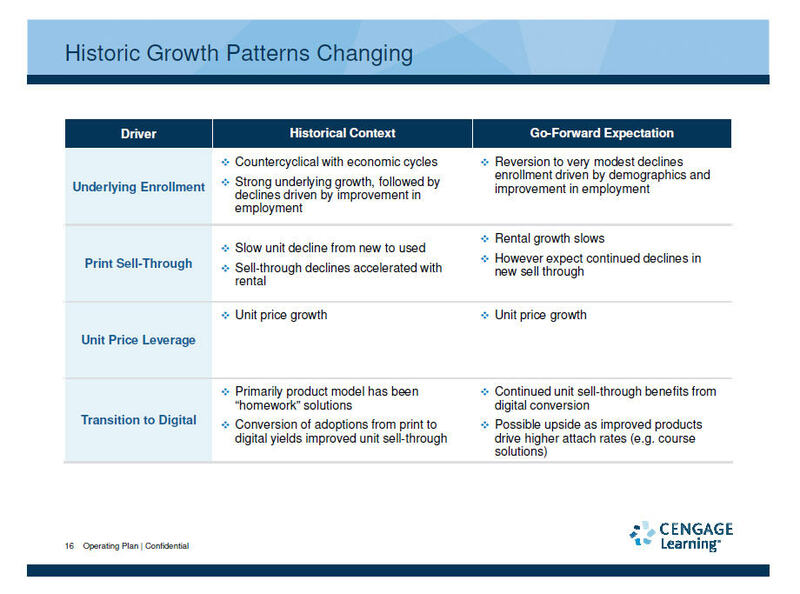 In the plan, the company admits that “the traditionally stable higher education publishing make has recently gone in decline, furthermore, Cengage is underperforming the market primarily driven by its digital execution.” Changes include “resetting our cost structure” and “creating stare of the art product management and development functions.” If anyone comes out of this looking poorly, it would appear to be Apax Partners for overpaying for the company and then not addressing financial issues more aggressively from the start with their management team. For a company that’s purported purpose is “identifying potential investments, growing our portfolio companies or realising their value at the right time, our strategy is geared to releasing potential.” Hopefully there are lessons to be learned here. 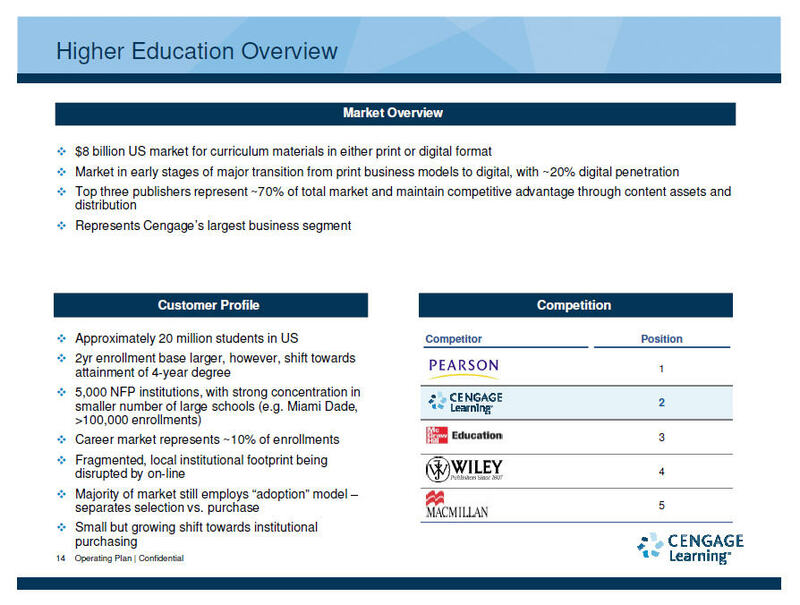 The operating plan is cautious, advising that Cengage Learning will continue to downsize and reorganize through 2015, with a period of slow growth to FY 2018 to be marked by sales only 5% greater than FY 2013. 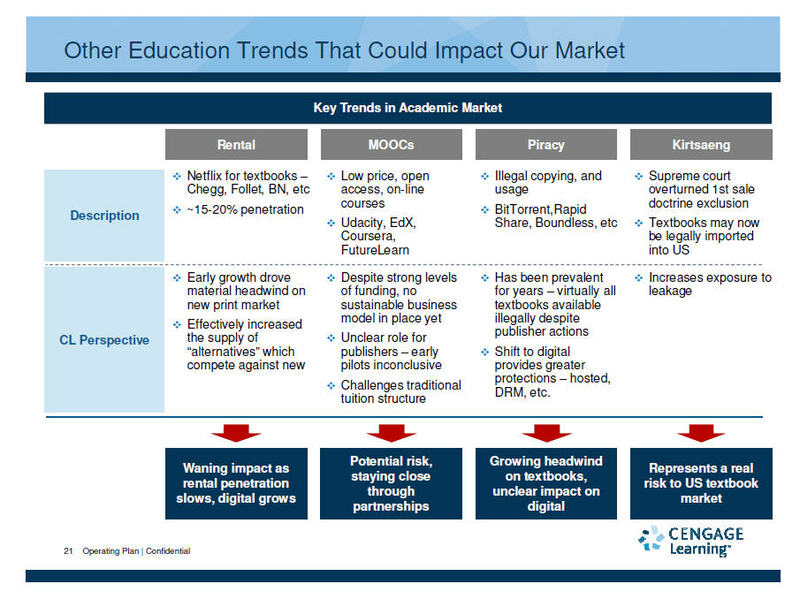 However, the plan includes some useful observations on the state of this industry and Cengage Learning’s competitors that make it essential reading. 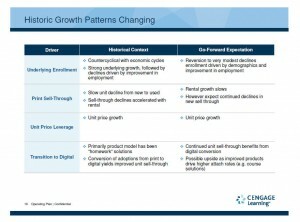 The plan is focused on current competitors in key market segments, but doesn’t directly address some of the disrupting factors that continue to impact this sector. Digital Book World recently estimated, for example, that Amazon—not publishers or bookstores—are now the primary source for college textbooks. This is an area that Hansen claims as a company strength: “Faculty and students rely on our content and have relied on it for decades. I don’t see that changing. The content is our competitive advantage.” However, the sands continue to shift. There is no issue with ongoing access for their customers in this process. Cengage participates as a member of Portico, which provides a safety net in case this, or any other company involved in selling digital collections, does fail in the marketplace. Since 2002, this membership organization has worked to “build a sustainable digital archive to serve the academic community and to enable publishers and libraries to feel secure and to realize tangible benefits as they transitioned to greater reliance on digital content.” Cengage has made it clear in letters sent out to customers, vendors, and authors that it will be business as usual as they work to liquidate debt, restructure, and work to move to a more competitive position in their markets. “Let me reassure you, there will be no interruption in the solutions or quality of services we provide to our customers, including our Gale customers. In addition, our library customers can continue to rely on our agreement with the Portico archiving program that ensures the security of our content. The details of our archiving agreement with Portico are available at http://gdc.gale.com/assets/files/Portico_FAQ.pdf,” notes Cengage Learning’s Kevin Stone, chief sales and marketing officer. 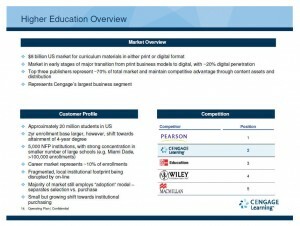 According to financial analyses by Publishers Weekly, “Cengage Learning has transformed its reference content into the digital word, with Gale as major brand. Most of the revenue in the library reference segment came from digital solutions. Gale applies the so-called “digital-first” product development model by launching digital products ahead of printed derivations. 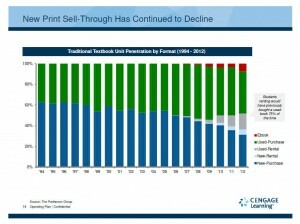 Almost three-quarters of its revenues are collected from recurring subscriptions.” A 2011 survey by the U.S. Public Interest Research Group found that “seven in 10 college students said they had not purchased a textbook at least once because they had found the price too high.” Academic libraries traditionally haven’t been central to the provision of textbooks on their campuses; however, with increasing costs of books and tuition, libraries across North America have been working closely with academic units and bookstores to find alternative solutions to the textbook problem. One major new effort is relying more on course packs of articles or materials instead of requiring books that may not be used entirely and are estimated now to cost college students more than $1,100 per year. Another alternative getting more attention is the creation of Open Source textbooks—created by academe for academe and estimated to save 80% on textbook costs. Flat World Knowledge is the first commercial publisher of college-level open access textbooks. 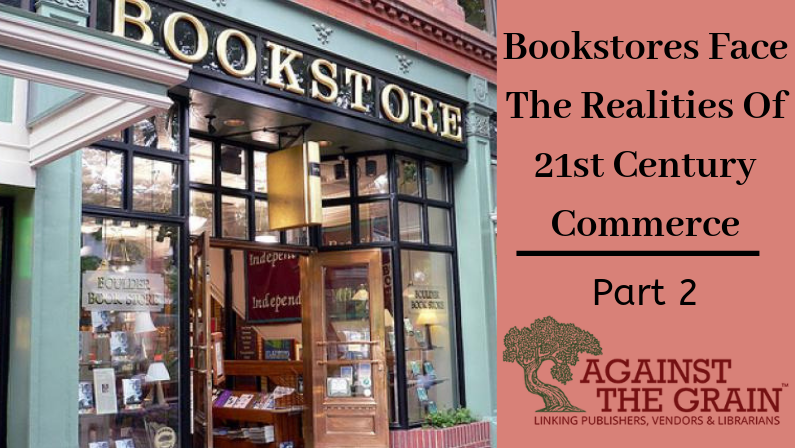 Established in 2007, their books are published under a Creative Commons Non-commercial Share-Alike license. “Educators choose the book—students choose the format and price,” is their motto. The company intends to have open textbooks available for the most popular 125 college-level courses by next year. Last September, California Governor Jerry Brown signed legislation for state funding to cover the cost of 50 open source digital academic textbooks and creating the California Digital Open Source Library to host these new resources. Libraries are getting involved in providing copyright support for course packs, by working with university presses and other outlets for class-related materials and by using their digital repositories for housing and hosting these resources. With Open Access, the rise of the internet as a publishing medium, and constant technological change, publishers of all types are needing to keep a careful eye on their companies, products, and customers. No one, no brand, no company is safe today. Innovations and new opportunities are causing everyone in the information food chain to balance the need for change and innovation with an eye on the bottom line. Cengage appears to now have a dedicated restructuring management team in place, some seasoned financial advisers, and a solid product line. Hopefully, this combination will keep the company in the mix for the future. First, thank you for your comments! 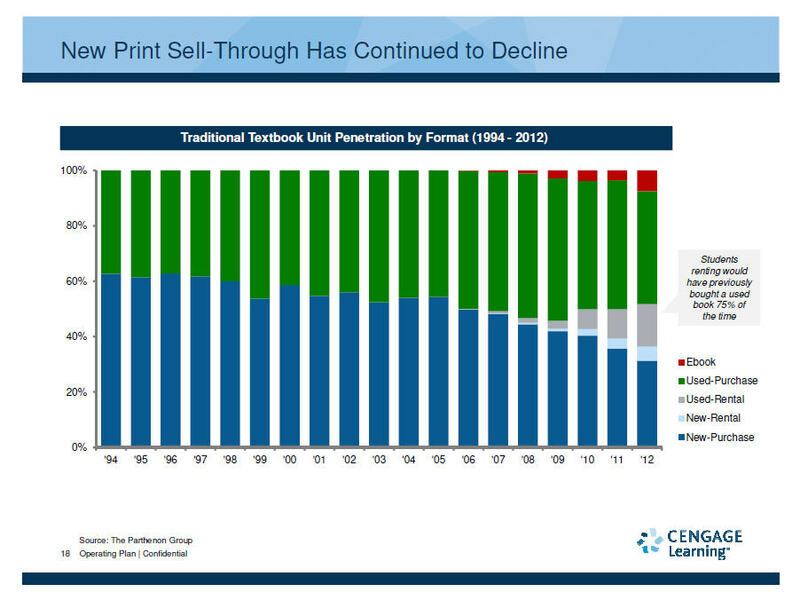 I agree, we will be seeing major disruptions to the textbook segment in the next few years. 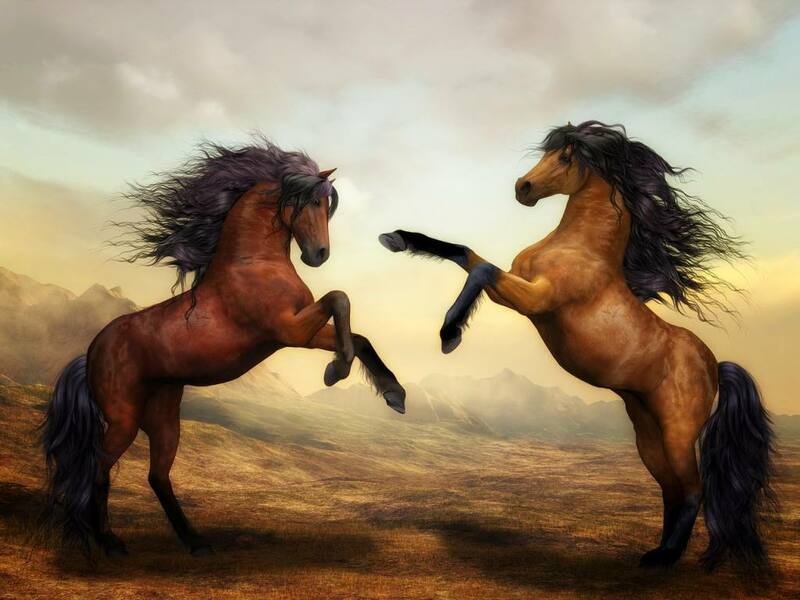 That said, there is still opportunities for agile companies who can help to create the needed connectivity, linking and added value that will separate the eventual winners from the rest of the pack. Don’t count Cengage out either. It will be interesting to watch as all of this unfolds!